You may be wondering: can you move easily from your current enterprise resource planning solution to SAP S/4HANA? The answer isn’t necessarily yes. It depends on many circumstances—your situation, your systems, any customizations you’ve made and where you want to go with SAP S/4HANA. The other key factor is the 2025 deadline that SAP has set for moving all of its customers to the new platform. With that date in mind, ask yourself two things: 1) Is it enough time for your organization? and 2) Are there SAP S/4HANA features that you want to embrace earlier? As you consider all of those things, here are two steps that will make for a smoother transition. First, run an SAP S/4HANA Readiness Check. Second, choose an adoption path as soon as possible, weighing the complexities and disruptions that each path presents. The Readiness Check, which you can run anytime in your SAP ERP Central Component (ECC) system, will help you answer several questions. For starters, based on your customization and the size of your database, how much SAP HANA in terms of database size do you need? Are your add-ons compatible with SAP S/4HANA? 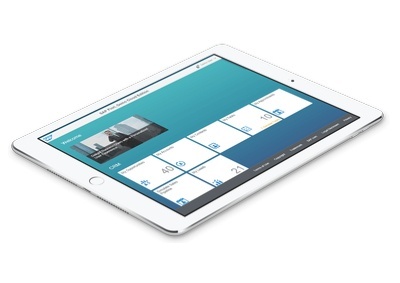 What SAP Fiori apps are available and applicable? Of the more than 10,000 such apps in the SAP Fiori library, 10 to 15 percent are new HTML5 apps built for SAP S/4HANA implementations. What business functions are affected? Which ones are being simplified by SAP, and how will that impact the way you run your business today? Of all those simplification items, outside of your business processes, which ones are relevant to your implementation? The final question that the Readiness Check answers: will your custom code work with SAP S/4HANA, and if not, what do you do? The Readiness Check delivers information in two formats: a graphical display, plus the ability to create Word documents from the results. If you want more detail on preparing, executing and exploring those results, Illumiti or one of your systems integrator can help. The greenfield option is for new or existing SAP customers that have decided to move to SAP S/4HANA because they aren’t happy with their current ERP environment. When it comes to complexity, greenfield is the least risky path: it lets you start with a clean slate and a new system. However, even though SAP provides data migration tools, you must pay close attention to data migration. Also, greenfield brings considerable disruption because it’s a brand-new implementation, so you must have good change management processes in place. For organizations that have already implemented SAP and want to make a digital transformation while also leveraging their existing solution, brownfield is the best choice. It’s more complex than greenfield, due to fundamental differences in architecture and data structure between the source and target systems. But brownfield is probably the least disruptive adoption path. Its benefits include limited system downtime, the opportunity for a gradual transition—you only roll out new capabilities as business units need them—and reduced risk and effort because you’re using your current system. Landscape transformation is for businesses that might have a diverse array of SAP solutions across the globe, plus other ERP systems, too. Let’s say you love what SAP S/4HANA has to offer, and you want to adopt it worldwide. To get there, you can implement it centrally for perhaps one division or system, and then at your own pace migrate existing systems into the new solution. One option is to centralize finance in SAP S/4HANA and eventually move to a global implementation. This path is similar to greenfield because you’re starting with a new system. But it gets more complex when you integrate SAP S/4HANA with the legacy solution, assuming you want the ability to drill down from the target to the source. If you decide to begin by centralizing finance, the major disruption will be to finance users only—at first, anyway. Whatever path you choose, you need a road map to ensure a successful migration. In Part 2, we’ll look at best practices for moving to SAP S/4HANA.